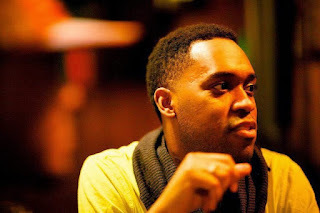 Kelsey Minor is a New York City based journalist. The Emmy Award-Winning television journalist has worked in news all over the country including places like Chicago, Mississippi, Idaho, and Iowa. 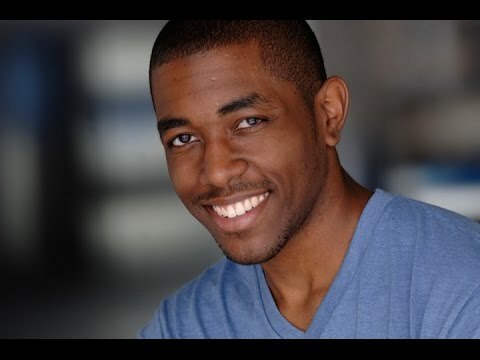 A graduate of Columbia College Chicago Kelsey is an exceptional storyteller and interviewer. 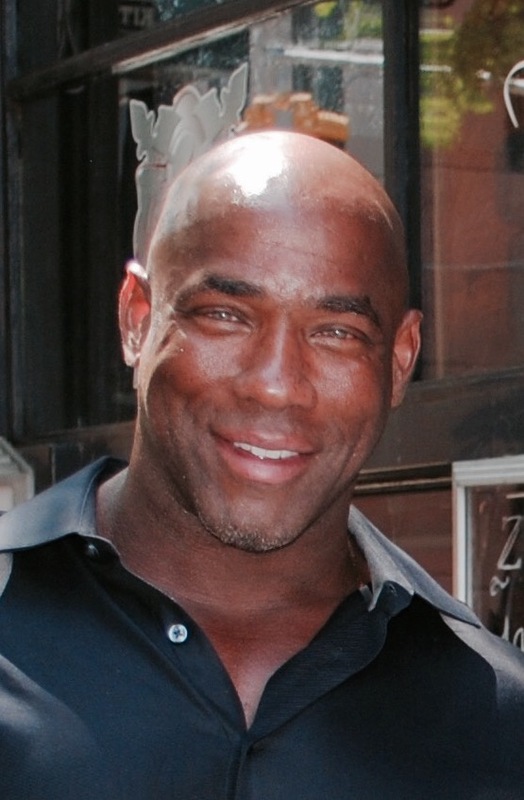 He has covered a number of presidential elections and has even had one-on-one interviews with candidates. 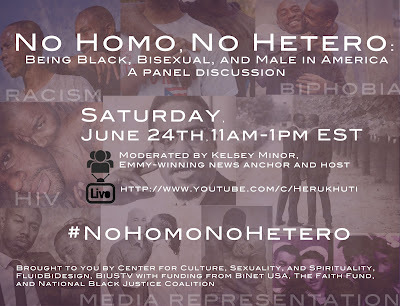 This Saturday a history making panel on being black, bisexual and male will happen live via Youtube. 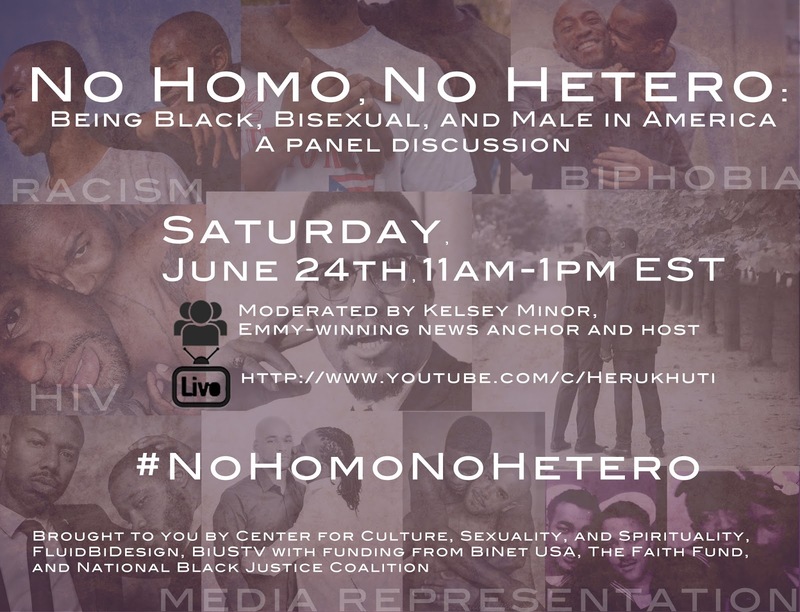 The event is also part of a documentary project, No Homo, No Hetero (working title), co-executive produced by H. "Herukhuti" Sharif Williams, and David J Cork, which examines the lives, loves, and challenges of Black bisexual men in the United States. 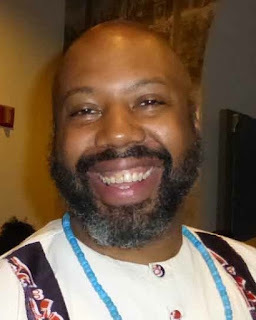 The documentary has received support from Third World Newsreel through its Video Production Workshop and Fellowship. Yesterday it was our time to march - and now it's time to turn this March into a Movement. 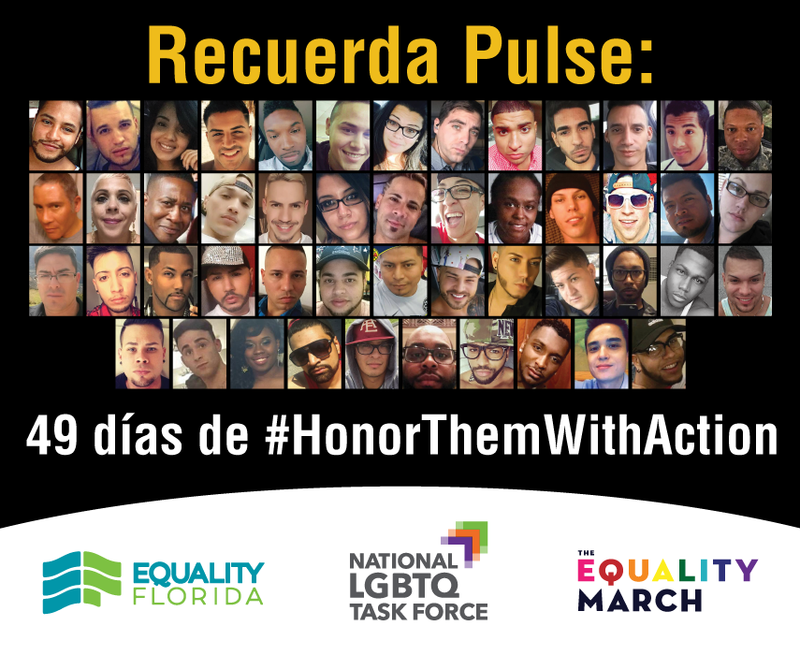 Today is the one-year mark of the Pulse massacre in Orlando that claimed the lives of 49 people, mostly LGBTQ and Latinx young people. 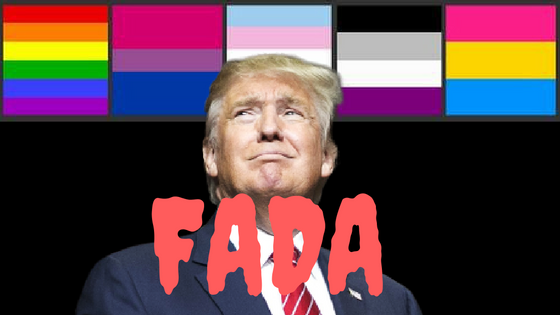 The horror unfolded in the middle of Pride month on Latinx night at Pulse, a popular gathering place for young queer people of color. We must ensure the lasting memorial of the Pulse massacre is the real change that comes from challenging hatred, discrimination, and violence of all kinds. Join us as we #HonorThemWithAction. It’s not enough to mourn those taken from us. It’s not enough to celebrate our collective resilience. We cannot allow the Pulse massacre to be yet another national tragedy. This must be a national turning point that spurs us to new action. We need you to step up and speak out against all forms of violence, be they mass shootings, genocide abroad, everyday gun violence, vandalism at houses of worship, and yes, even hateful words spoken from a pulpit, a pew, or over the dinner table. At a moment when some sought to meet fear with fear and hate with hate, the Orlando community came together, united in a commitment to challenge bigotry and hatred, not nourish it. A deep resilience emerged from survivors, victims’ loved ones, Orlando residents, elected leaders, LGBTQ people and our allies around the world. One year ago people held vigils and fundraisers to directly aid the families of those killed and the survivors and committed to combatting hatred of all kinds. Tonight, many will gather to grieve and hold each other close. As we think about all the ways in which our world is different one year later, I challenge you to join us in uprooting and challenging hatred of all kinds, and to take action each and every day to make the world different, better, and safer for all of us. Thank you for your compassion, your solidarity, and your support. But most of all, thank you for standing with us to do the work of fully addressing and combating hatred wherever it exists. Attend or create a Pulse Remembrance event in your local community or watch one online. 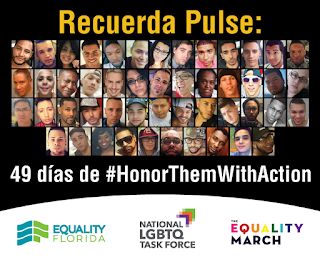 Be sure to use #HonorThemWithAction on social media if you are live tweeting from events. Reflect on and then write a letter to the editor to your local paper encouraging people in your community to honor the lives taken during the Pulse Massacre by committing to action to diminish the harm perpetrated against members of the LGBTQ community. As a part of your commitment to 49 Days of Action, make a list of friends and family you want to join you and share with them these emails. 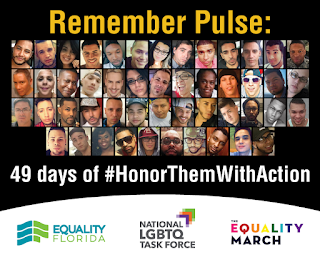 Have intentional 1-on-1 conversations with 3 people from your list to discuss why you are participating in the “HonorThemWithAction” campaign and the importance of them joining you in honoring the lives taken during the Pulse Massacre through action. Contact your member of Congress and demand they sign on as a co-sponsor for the Disarm Hate Act, a bill that closes the Violent Hate Crimes Loophole that permits the sale of firearms to individuals who have been convicted of threatening with a deadly weapon or assaulting someone based on their race, religion, gender, sexual orientation, gender identity, or disability. Today marks the second year remembrance of the shooting at Mother Emanuel AME in Charleston, South Carolina. 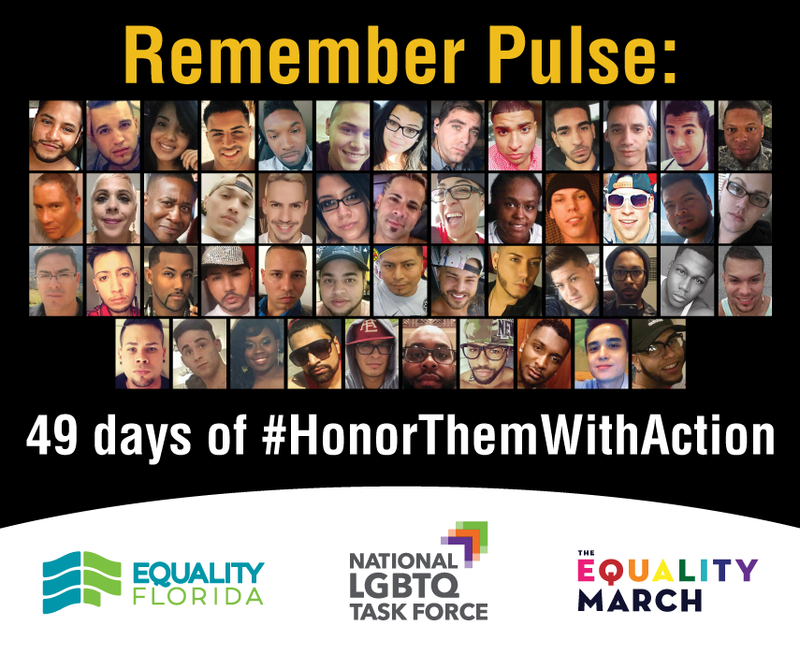 Honor the lives taken there and at Pulse by adding your voice to the #DisarmHate campaign. 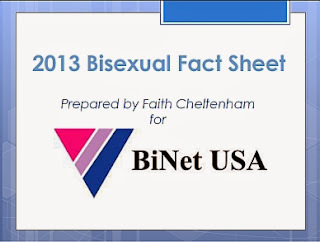 Learn more about the campaign and utilize social media tools using the resources found HERE. Share on social media and with friends and family the actions you’ve taken this week as a part of the #HonorThemWithAction campaign.